A native of Sydney, Nova Scotia, Ryan Conrod obtained his law degree in Toronto, then articled and practised in Halifax before joining the Seaboard Transport Group of Companies in 2012, where he is now Vice-President Risk Management and Human Resources. In 2013, he joined the Acadia Alumni Association Board of Directors. He was appointed to a two-year term as President of the Alumni Association in 2018. 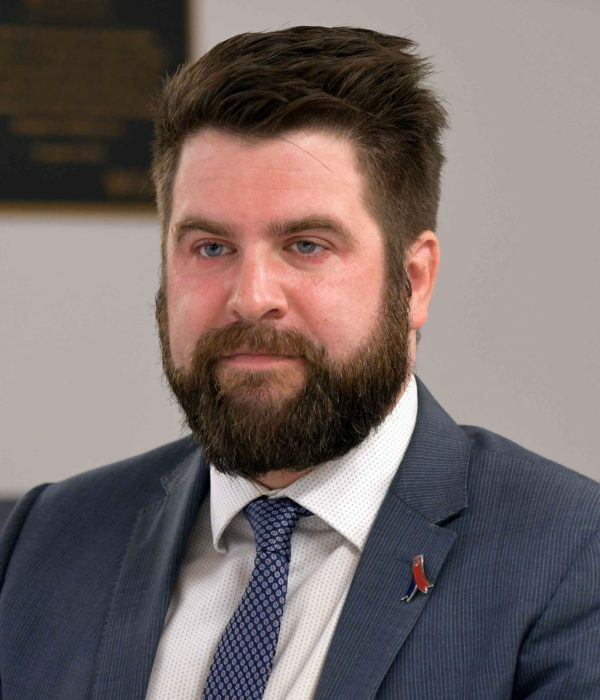 Sydney, Nova Scotia, native Ryan Conrod (’06) already had plenty of experience in Acadia leadership roles when he became the new President of the Acadia Alumni Association in May 2018. As a student, he was President of the Acadia Students’ Union for his final two years, and in his last year he also chaired the board of the Canadian Alliance of Student Associations. He joined the Alumni Association board in 2013. After graduating from Acadia with a BSc in Biology, Conrod moved to Toronto to complete a Juris Doctor in Law at the University of Toronto. With law degree in hand, he articled and practised in Halifax at the McInnes Cooper law firm. From there, he moved into a business and law role at the Seaboard Transport Group of Companies, based in Dartmouth, where he now serves as Vice-President Risk Management and Human Resources. Conrod says he enjoys the additional time he gets to spend in Wolfville and on Acadia’s campus and is excited to be able to give back to the institution that served as a foundation for his professional career and extracurricular interests.